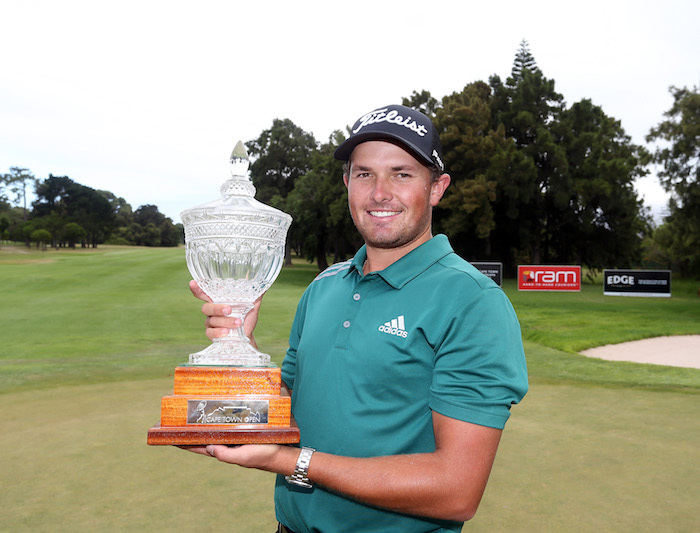 Benjamin Follett-Smith claimed the RAM Cape Town Open at Royal Cape after a sensational final round 66 saw him set an unassailable clubhouse lead at 13-under par. Follett-Smith’s day began with a bogey, and with just one front side birdie it was unlikely that he would be the one to usurp the likes of JP Strydom and European Tour member Zander Lombard playing in the final group. Strydom, a local, and the overnight leader, went out in 38 and could only manage a level par inward run which was not good enough to catch Follett-Smith, leaving Lombard as the only contender to force a playoff. Lombard was also over par on his way out, but birdies at 12 and 14 left him firmly in the mix. A par on the 530m 16th left the VOG Zebula champion level with two holes to play. His nerve failed him as he finished with consecutive bogeys to fall back to -11 alongside Strydom, with the rookie left to celebrate in style.